Esports had quite a presence at this year's E3. While a number of multiplayer games showing esports potential, the tie to competitive gaming was a little more overt with a special stage set up in the Los Angeles Convention Center's South Hall. There, top teams competed in Arena of Valor, the mobile MOBA that has taken the Chinese market by storm. The game recently released on PC and is also slated to get a Nintendo Switch release later this year. This marked the first public presence for Chinese tech giant Tencent on the E3 show floor. 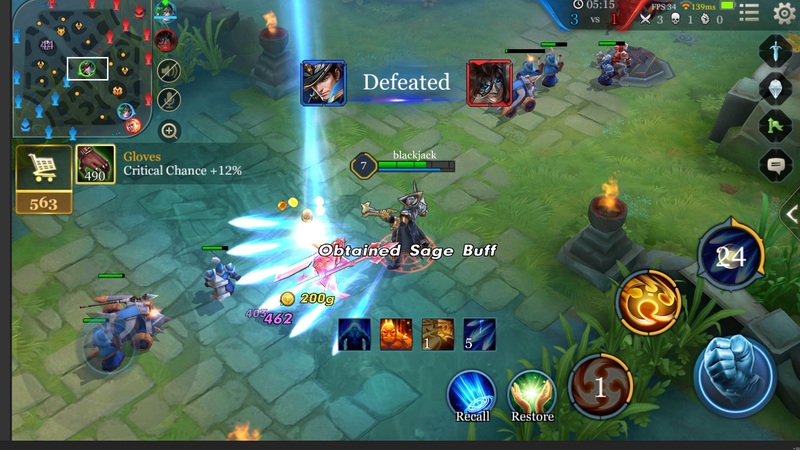 To get a picture of where the Arena of Valor esports scene is headed, Shacknews took some time out during E3 to speak to Tencent America's Director of Esports, Ramon Hermann, about the week's E3 tournament and the upcoming Valor World Cup. Shacknews: You're here with Arena of Valor as part of the Valor Series. For the unfamiliar, can you explain what the Valor Series is? Ramon Hermann, Tencent America Director of Esports: What you're seeing here are the playoffs for our first championship for Arena of Valor. It's called the Valor Series. [Wednesday] is the North American playoffs, [Tuesday] was the European playoffs. It's the end of our first season for Arena of Valor. The winning team from here is going to move on to the World Cup that we're going to be hosting in Los Angeles. Shacknews: Arena of Valor has been a very successful game overseas. What do you feel has contributed to its success in Eastern markets? And how well do you expect that success to translate to North America and Europe? Hermann: First of all, it's a fantastic game. It's fun to play. But beyond that, it's one of the first games that really appeals to our core audience of gamers that are looking to get more in-depth play out of their gaming experiences on mobile. It's really one of the big next steps for the mobile gaming experience, to have a game that offers that high skill ceiling. That's what's really attracting a huge audience for us in China and other Asian countries, because those countries are slightly ahead of the rest when it comes to mobile adoption, in general, and mobile phone usage for playing games. We're in the early days in North America, in Europe, and Latin American to some degree for seeing that happening. So for me, it's going to be exciting to see how long it's going to take for us to draw even on the same level as traditional PC games. Shacknews: In your view, what makes a successful esport and what would define success for Arena of Valor? Hermann: There's a lot of different things that go into making successful esports. First of all, it needs to be a proper competitive game. It needs to have a high skill ceiling. Really, your ability as a player is what determines whether or not you succeed at the game. 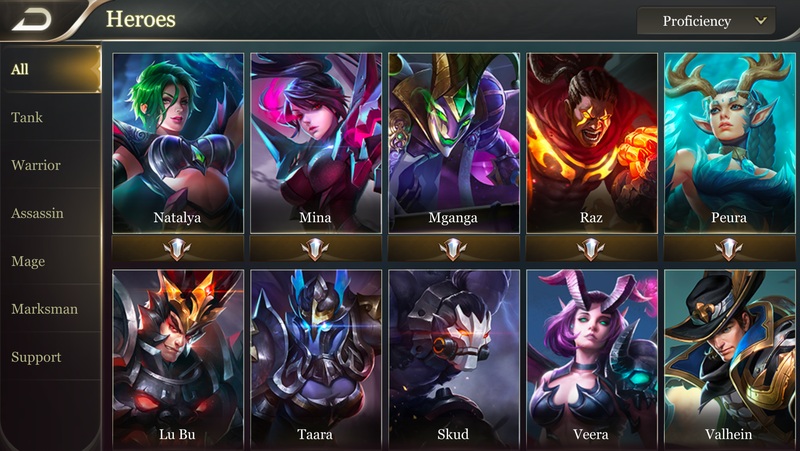 This is where Arena of Valor ties into the MOBA genre very strongly. The MOBA genre is one of the most well fleshed-out esports experiences and formats out there. And that's where we've landed. We've taken that format, we've brought it to mobile, and we're now experimenting with the mobile space and leading the way for what esports in the west can be like on a mobile device. Shacknews: From what you've seen this week, how does the talent in North America and Europe compare with the talent in China and other Eastern countries? Hermann: It's a bit early to tell. We'll know more once the World Cup happens, when all of the regions come together. So far, it's only been the regions playing amongst each other and not between each other. But obviously, the teams in China and Asia have had a bit of a headstart. The game's been out there for a couple of years, so they've had way more practice. The overall esports ecosystem is a bit more established. They have proper pro teams. They get all the benefits of some of the more established pro teams that we see from traditional games in the west. Like, they have team houses, coaches, all those kinds of things. These are the early days for us in the west, so we have some big organizations that have stepped in, like Immortals in North America, that have put plenty of support behind their team. But then some of the other teams are just homegrown teams of people that have banded together and are playing as friends. Realistically, expect that the Asian teams are going to be a little bit stronger, just because they've had that edge and experience, time and exposure, but hopefully over time, the west is going to catch up. Shacknews: Arena of Valor is coming to Nintendo Switch very soon. Do you expect the talent field to be impacted significantly once it hits that console? Hermann: I think it's a bit early for us to tell. We're just about to launch our closed beta for it, but beyond that, it's a bit early to tell anything. Shacknews: What would you say to the average esports fan who's learning about Arena of Valor for the first time? What does this bring to the table that other esports do not? Hermann: What I would say is, the esports experience you're used to from traditional PC and console, if you're a player who likes the core gaming experience, who's looking for a game where there is a high skill ceiling, especially if you're a MOBA fan and have played MOBA games before, you'll feel right at home here. The big difference is the accessibility. You can play this game anywhere, anytime, whenever you want, especially in a social environment. You can play with your friends while you're out at lunch waiting for your food to arrive. Those are the things that are exciting for us and just makes that game such a great time to play. Arena of Valor is available now on iOS and Android. Look for the Nintendo Switch version to go into closed beta later this summer.